If you like to wear your heart on your sleeve (pun intended) then having clothing with a bit of humour is a great way to express opinion and also get a giggle and a cheeky bit of attention! 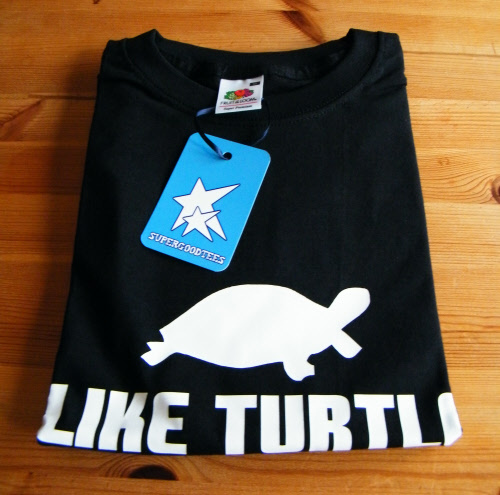 At supergoodtees.com they sell a whole load of different funny t-shirts at reasonable prices. I have myself a couple so here are my thoughts. Ordering is very easy on their website, it is the usual ecommerce process you will go through nowadays on most websites. Payments are secure so have no fear from the baddies! It is a cool website to use and loads reasonably quick also. The t-shirts arrived within a couple of days. In nice simple packaging and neatly packed, good start! They are ‘Fruit Of The Loom’ so are good quality, or ‘super premium’ as it says on the label. This means they won’t go manky after only a couple of washes. My first one says “I Like Turtles”, it’s true I do. 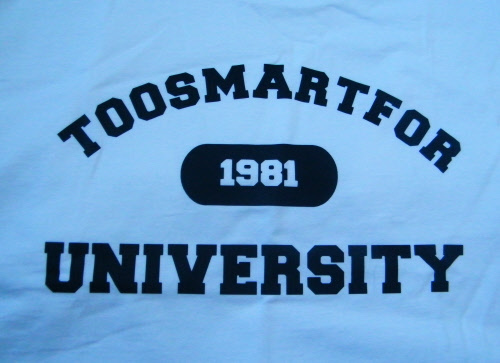 And the second one says “Toogoodfor University”, it’s true I am (or too thick, one or the other). I like these sorts of tops and find them funny in a care-free sort of way. But they have tonnes to choose from so if you want to make a point, get political, rude or geeky then you can. They don’t have a search function though which is quite annoying so you do have to scan through the categories. There is tonnes of choice and I found about 10 that I would happily wear, so how big’s your budget may be the question you ask yourself! 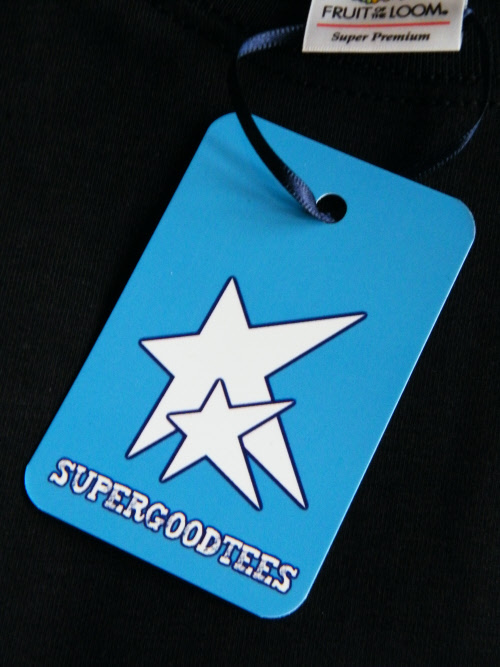 SuperGoodTees is a good service with really nice t-shirts and an excellent choice to pick from, well worth taking a peek at next time you need to buy some brand new clothes online. A couple more photos of the packaging and label. 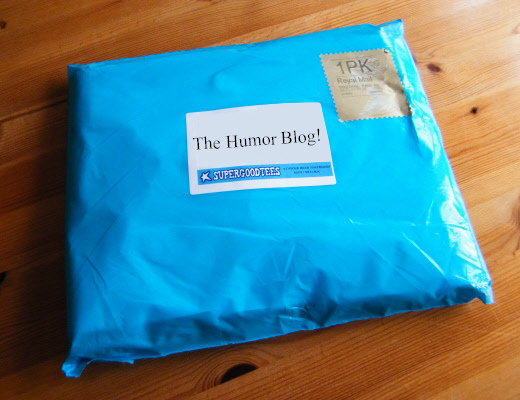 All photographs for this product review owned by thehumorblog.com. The Lancashire Hotpots Clips inc Chippy Tea!